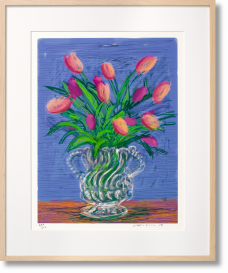 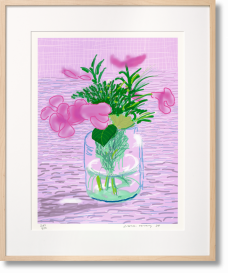 Be it a Yorkshire landscape, a still-life with flowers, or a shimmering Californian swimming pool, the paintings of David Hockney capture the individual and the environment with a sense of color, space, and place that has made him one of the most important British artists of the 20th century. 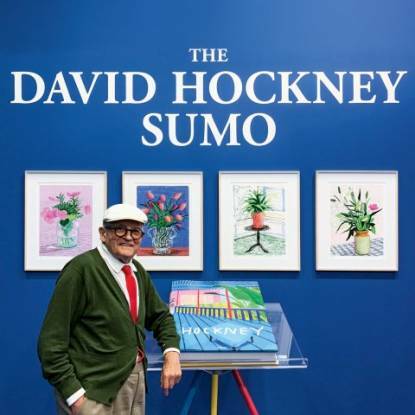 David Hockney first emerged in 1960s London, graduating from the prestigious Royal College of Art and pioneering the British Pop art movement. 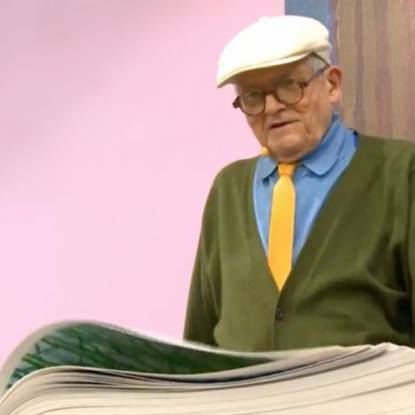 He first moved top to Los Angeles in 1964, and has spent his subsequent career living and working between London, Paris, Hollywood, and Yorkshire. 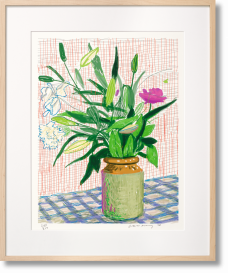 Alongside his unmistakable paintings, Hockney’s extensive and multimedia portfolio includes photography, photo-collages or “joiners”, opera and stage designs, and iPad drawings. 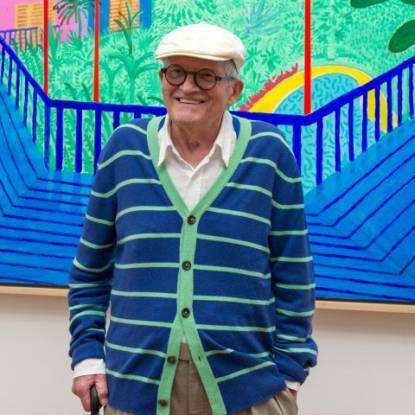 Throughout, Hockney shows constant interrogation of the processes of seeing and representation, and a unique affinity with color – from the shimmering hues of the Hollywood hills, slapped in bright acrylic paint, to the autumnal tones of a Yorkshire wood grove. 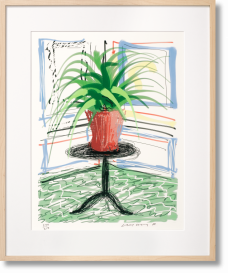 Hockney’s interest in image technology led him to write his own thesis A Bigger Picture - Secret Knowledge: Rediscovering the Lost Techniques of the Old Masters, which traces early usage of the camera obscura. 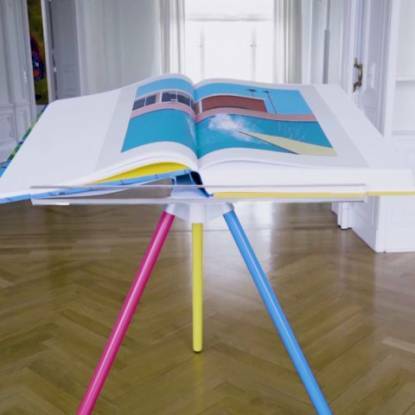 TASCHEN’s SUMO-sized publication David Hockney, A Bigger Book is a defining Hockney monograph, by which the artist wishes to be remembered. 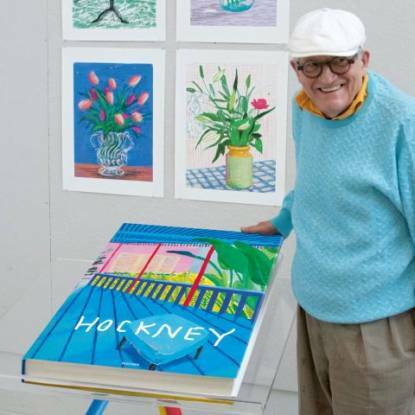 Limited to 9,000 copies, the book, signed by David Hockney, is a stunning visual history of the artist’s oeuvre. 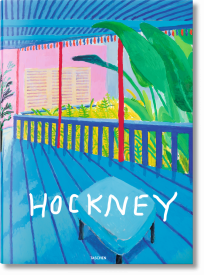 Compiling 60 years of work and countless exhibitions around the globe, the book delivers the full impact of such famous Hockney paintings as A Bigger Grand Canyon, Bigger Trees near Warter, and of course, A Bigger Splash, as well as others from his pool series, the love paintings of the 1960s, and his vivid repertoire of almost life-size portraits, studies, sketches, prints, and digital experimentation with the iPad.